Coaches now have the option of acquiring their coaching license for either one (1) or two (2) years. We are offering you the option of a two year license to help you manage coaching license requirements and match up your 2-year CEU requirement and the 2-year background check. When purchasing or renewing your license, simply choose the one (1) or two (2) year option and pay the associated fee (1-yr $95 or 2-yr $170). For more info on the Coaching License Application, please go HERE. Welcome to USA Cycling’s Steps to Becoming a Coach. USA Cycling coaches enjoy the knowledge they are receiving coaching education from some of the world’s top cycling coaches. It is our goal to provide you with the best coaching education possible and make the steps in becoming a coach as easy and worthwhile as possible. Order Introduction to Coaching Cyclists. 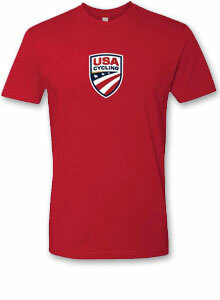 This can be purchased online once logged in to your USA Cycling account. If you don’t have an account you will have to create one by clicking HERE. This can also be ordered via regular mail by sending in the Order Form. Read and Study Introduction to Coaching Cyclists. Take the Level 3 test online. A score of 80% or better is passing. If you score less than 80%, you may retake the test after 14 days have passed. Please see Directions for Taking the Level 3 Exam Online below for more information on this process. Complete Coaching License Application and Risk/Media waiver and send to USA Cycling via coaches@usacycling.org, fax to 719-434-4325 or regular mail to USA Cycling, Coaching License Application, 210 USA Cycling Pt, Ste. 100, Colorado Springs, CO 80919.
Review and complete a Criminal Background Check. If you have a current background check from USA Triathlon follow these steps. Your Coaching License will be issued* only after passing the Level 3 test, your completed and signed Coaching License application and Risk/Media waiver are received, and the Criminal Background check is cleared and received by USA Cycling. All coaches will have sixty (60) days from the time their coaching license is issued to complete their required SafeSport training. Any coach who does not complete the training within the sixty days, will have their license suspended pending completion of the SafeSport training. *Please allow 3-4 weeks for delivery of your license once all materials have been delivered to USA Cycling. The level 3 exam is available immediately following the purchase of the Introduction to Coaching Cyclists manual (Introduction to Coaching Cyclists MUST be purchased directly from USA Cycling in order for you to have access to the Level 3 test. Acquiring the manual from any other sources will not grant you access to the Level 3 Test). Login to your USA Cycling account, click on “Account” which is located below your welcome header. On the corresponding page click the link “Coaching Links (including tests)”, and then click on "Take Level 3 Coach Test Online". Finally click on the test link and start the test. Once you start the test, you have 14 days to complete it. If the test is not completed within 14 days from the date you first start, the results will be lost, and you will need to start over again. All test answers are saved and you may leave the test and return to it later on, provided you still complete the test within 14 days after you stared it. However, once you leave a page, you cannot return to change answers. Unanswered questions will come back again. Please do NOT use the browser "BACK" button to go back in the test. If you use the “BACK” button test answers will be lost. The test covers information provided in Introduction to Coaching Cyclists as well as information found in UCI rule books and/or USA Cycling rule books. Once finish and submitted, the test will be scored immediately and your results will be displayed. If you pass the test (80% or better), you will be given the option to see the questions you missed. Once you pass the test, please refer to Step 4 (above) under the Steps to Becoming a USA Cycling Coach. If you fail the test, you may retake the test after 14 days have passed. Your missed answers will not be shown if you fail the test. TIP: Depending on the web browser and version of web browser, we suggest you open the test in one window or tab and open another window or tab to view the rule book(s). As the rule books are searchable, this may assist you while taking the test. During January and February of each year please allow extra time for processing due to the volume of coaching license applications. To check the status of our license, please login to your USA Cycling account page and clink on the License Info tab where you can check the status of your license. Review the continuing education policy. You are responsible for knowing and keeping up to date on the continuing education policy. The level 3 is a home study, self-paced course. You will need a USA Cycling account in order to take the exam online. The test is available following the purchase of the Introduction to Coaching Cyclists manual. At the discretion of USA Cycling, any individual who has admitted to, pleaded no contest in regard to, been convicted of or served a sentence for a violation of the USADA, WADA, or UCI anti-doping code may be denied a coaching license. Any coach whose license expired prior to 12/31/2008 must re-apply for their Level 3 license. All annual licenses expire on December 31 of the year they are issued and must be renewed annually to remain active. All 2-yr licenses will expire on December 31 of the following the year in which they were issued and must be renewed every other year to remain active (coaches may renew their license 30-days prior to the end of the year for the following year). All coaches will have sixty (60) days from the time their coaching license is issued to complete their required SafeSport training. Any coach who does not complete the training within the sixty days, will have their license suspended pening completion of the SafeSport training. All coaches looking to achieve Level 2 status will be required to attend a Road Level 2 Clinic and then take the Level 2 test, which will be available only at the conclusion of the Level 2 Clinic. The purpose of the Level 2 Clinic is to better educate our coaches in order to better train our athletes. Coaches who attend the clinics can expect to take home a wealth of knowledge in achieving a higher level of bike handling skills, a better understanding of the physiological stresses and adaptations the body endures through training, and how to utilize these stresses and adaptation in writing a better more succinct training plan for their athletes. All which can be used to help their athletes achieve a higher level of success and accomplishment on the bike. In order to achieve USA Cycling’s highest level of coaching certification, a coach must be a Level 2 coach, in good standing, for 5 consecutive years and attend a Level 1 Clinic, or be a Level 2 coach for 3 consecutive years, accumulate 200 CEU’s following completion of the Level 2 Clinic and attend a Level 1 Clinic. After either qualification is achieved, the coach must pass the Level 1 test.